While Pami, my wife and the brains behind this blog, is in California it has been left to me to fend for myself in the kitchen. This calls for quick, simple meals-for-one that can be made after work and won’t send me heading for the takeout menus. 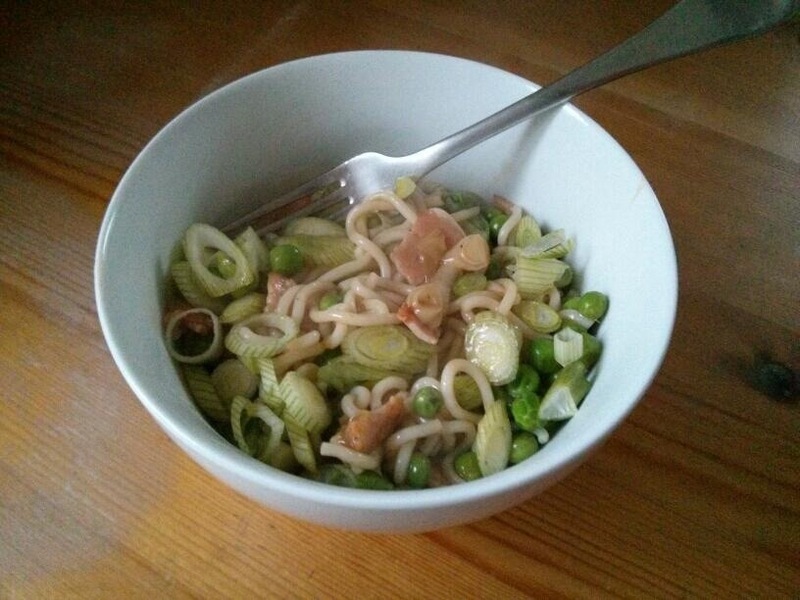 Tonight’s dish is perfect because not only is it quick and easy, but it also takes its inspiration from one of the most stereotypical bachelor bites, the Pot Noodle. And when I say this meal is quick to make, I mean it. Even an infrequent cook such as myself can turn this around in 15 minutes. Start by frying the bacon in a non-stick pan. Once it starts browning, chuck in the sliced whites of a few spring onions, peas and paprika. 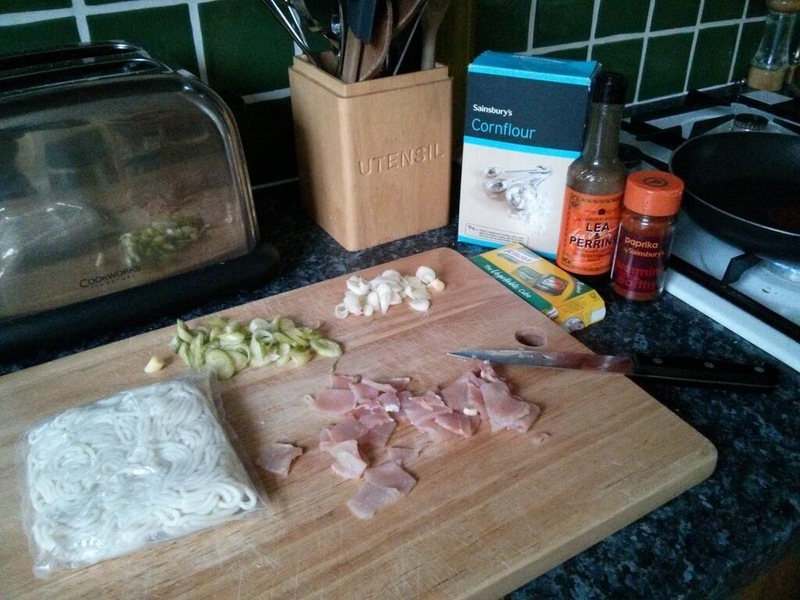 Then, after another minute or so, add vegetable stock, cornflour paste, splash of Worcestershire sauce and straight-to-wok noodles. Simmer until noodles are done and serve topped with the greens from the spring onions. The result is easy on the eye, flavoursome and filling. Not bad for a 15-minute bachelor bite. You can see the recipe in full here on the BBC Good Food website.